Berg Engineering is pleased to offer our latest webinar on the High Definition model of the Mentor Visual iQ. 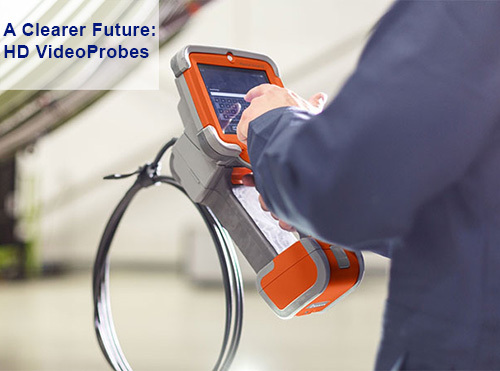 This on-demand webinar features Paul Thompson and Tom Ward who are leaders in representing the Remote Visual Inspection (RVI) Division at Baker Hughes (a GE Company) along with Berg Engineering's CEO, Stephen Berg. Throughout the webinar all three experts offer candid and incisive insights into the state of NDT. They also stream a live demonstration via InspectionWorks and discuss how the latest advancements in RVI are shaping the landscape of NDT in the aerospace, oil and gas, energy and manufacturing sectors. Interested in learning more about the Mentor Visual iQ HD and its applications? Contact us at 847-577-3980 or email info@bergeng.com. 2. New RVI Technology, 'The Future is now'. 3. Advancements in 3D Measurement technology. 4. The Complete Solution: Looking into MDI, Inspection Works Suite connectivity and iView Remote. 5. How the Mentor Visual IQ HD can improve efficiency, and save on downtime and costs. 7. A 20 minute Q&A session. To view the webinar now, please fill out this form.